Here’s some mid-week fun to liven up your week. 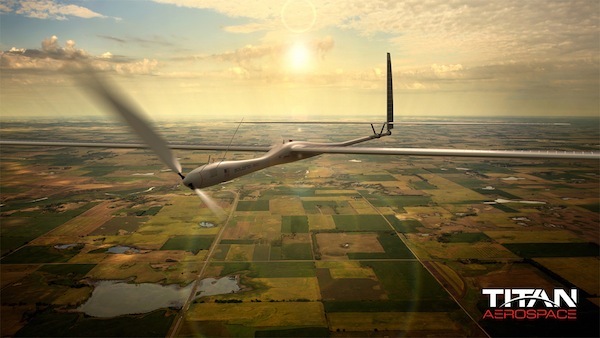 A huge solar plane (or, high-altitude drone) made by Titan Aerospace is projected to be able to fly for 5 years… nonstop. When we think about solar power, we have in our heads that it only works during the daytime, but up above the clouds, if the plane goes fast enough, it can stay in the sunshine indefinitely. At the least, it can stay up there until it needs some repairs or maintenance. 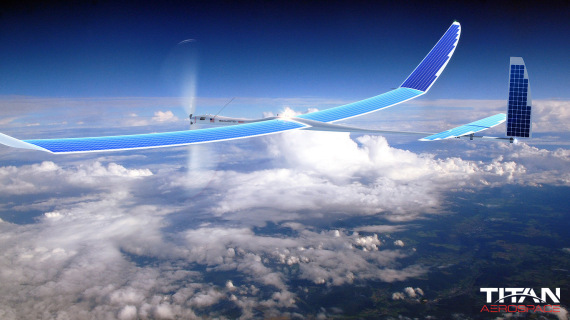 With a little bit of energy storage on board, such a plane wouldn’t even need to stay in the light. 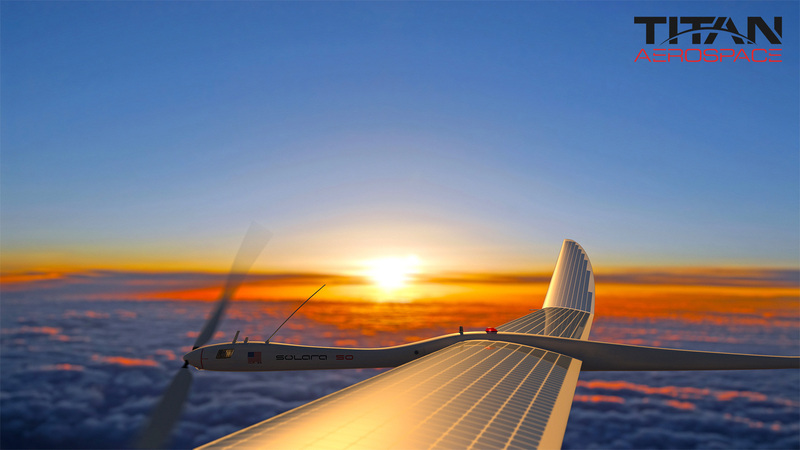 The Titan Aerospace solar plane is supposed to have 3,000 solar panels covering it. But what would such a plane be doing up in the air without passengers? 1) It could return to earth, allowing for repair and a fresh return to the skies, and also preventing the further accumulation of space junk (what happens when satellites become broken or useless… but can’t be brought back to earth). 2) It wouldn’t require the rocket fuel that launching satellites often requires, cutting pollution and greenhouse gas emissions. 3) Come on, it’s solar powered! While this is simple cool, and we could leave it at that, there’s actually a broader lesson here to take home. The fact that we have gotten to the point where we can send a solar-powered plane high up into the atmosphere to monitor the earth for several years shows that solar power technology has come a long way! Solar cells and solar panels have become much more efficient, resulting in massive price cuts, and extending the practical uses of solar power much further. Low solar panel prices now make cool technologies like the solar plane above possible, but more importantly, they allow homeowners and businesses to save massive moola on electricity. Haven’t gone solar yet? See how much solar power can save you!